Telstra is the single biggest provider of internet services in Australia, but does that mean you’re getting the best value for money? The telco giant offers home broadband using a combination of ADSL and Cable connections, as well as NBN fibre connections, depending on the location of your home and personal requirements. With several plan tiers available, all of which can be purchased as broadband-only or bundled with a home phone and one of several exciting Foxtel TV packages, with some plans automatically available with Telstra TV included, Telstra has an internet solution for just about every household demographic. But how do its prices and features compare to its rivals? Read our review of Telstra internet plans and find out. Telstra has recently grossly simplified its plan range, with similar offerings across NBN, ADSL and Cable connections. There are also two wireless categories – home wireless and mobile broadband. All fixed broadband plans are available from $70 a month, but many are over $100 a month. So, what are you getting for your money? Maximum download speeds for ADSL2+ are around 20Mbps. Cable increases this to 30Mbps. If you live in an eligible area and choose an NBN connection, then you can choose from two different maximum speed tiers – 50Mbps or a ‘superfast’ 100Mbps. The NBN 100 max speed tier is generally a $30 price premium over its slower cousin, and may suit households that do a lot of media streaming, gaming or data-heavy work. Telstra had to compensate many NBN customers in November 2017 for its NBN speeds not living up to expectations. Telstra has made moves to be more realistic about its NBN speeds, reflected in its ‘Evening Speeds’ classifications. All of Telstra’s plans come with several perks – these include three internet top-ups per year if you go over your data allowance, access to the nationwide Telstra Air Wi-Fi network, support for future NBN installation, and the option of the Telstra Broadband Protect service. Let’s dive in with more detail to see how far your money goes. The standard Speed tier across 24-month unlimited plans is Standard Plus (NBN 50), but users can add Premium speeds for $30 extra a month. Set-up fees start at $99 upfront for new customers, plus $216 for the Telstra Wi-Fi modem. Note that all NBN plans are now available month-to-month. Speed boosts are available on Cable HFC plans from 30Mbps max speeds to 100Mbps max speeds for about $20 extra per month. Naturally you can expect to pay a higher upfront fee by opting for the non-contract route. Home wireless and mobile broadband plans are a burgeoning trend with the average cost of 4G data decreasing over time and the need for flexibility increasing. Telstra offers three different data plans on your choice of a monthly, 12 month or 24 month term. The longest of these includes your choice of portable Wi-Fi modem with no extra cost. 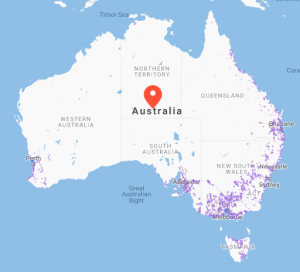 In addition to your mobile data, you will also get unlimited data on the Telstra Air Wi-Fi network, which includes thousands of hotspots around the country. With the 24 month plans you have the option of bundling in a high-speed device – an extra $6 a month for the NETGEAR Nighthawk mobile hotspot, which is apparently the world’s fastest mobile hotspot. These mobile broadband plans are ideal for work on the train, as a stop-gap solution before NBN arrives or just as mobile data plan for your tablet. Telstra’s prepaid mobile broadband lets you buy one of several devices and recharge it with your choice of several ‘Data Passes’. Depending on what device you have, you can buy an empty $2 SIM, or a range of wireless modems. All but the cheapest plan come with a 28 day expiry; the $20 plan comes with a 14 day expiry, while there are two 180-day plans. Customers on the first four plans also get access to data rollover. While the inclusions seem rather lean, these could be great for the household tablet that sees little internet use, or a tablet for the kids for the occasional app downloading or for Grey Nomads hitting the road. What features does Telstra offer? Telstra prides itself on being the ‘network without equal’ and states that the NBN is rolling out fibre coverage to 93% of Australians. The remaining 7% will be covered by fixed wireless and SkyMuster satellite technologies. Telstra has a coverage map and address checker on its website to let customers know what type of NBN is coming to their area, and when. Current NBN rollout covers many capital cities, as well as major regional hubs along the eastern seaboard, as pictured. Entertainment: Customers can add Foxtel Now packages, as well as BigPond Movie vouchers and Telstra TV to their plans. Call Packs: Unlimited local, national and mobile calls are included on 24 month plans. Speeds: Standard Plus (NBN 50) NBN speeds included on unlimited plans. Modem: 4G Gateway modem with backup and instant connect included on 24 month plans. As mentioned, Telstra isn’t just your average barebones, no-frills NBN provider. While the prices for its plans do look somewhat high, there is a lot of extra ‘stuff’ that may more than make up for it. If you’re a confirmed light user and you’re just looking for something simple to get by, Telstra has what you’re after. With Standard (NBN 25) speeds on offer, this plan may best suit someone who just needs to get the basics done and not much more. If your desire for data is large, Telstra has a fairly competitive unlimited plan costing $90 a month. This comes with Standard Plus NBN speeds as standard, with optional speed boosts. As Australia’s largest telco, you would rightfully expect Telstra to have a comprehensive customer service system. There are many FAQ documents on its website, with 24/7 chat functions if needed. Telstra has a multilingual customer service team so you’re covered if you want to speak in your native tongue. Telstra customer service number is 13 22 00. Telstra has a variety of customer support functions, as well as a range of bricks and mortar stores throughout Australia; often it can be easier just to pop into one and chat to a real person. It’s all up to you. How does Telstra internet compare to other providers? While most – barring Foxtel – do not include Foxtel entertainment, there is often some form of entertainment bundled in, usually in the name of Fetch TV. Fetch TV is a similar streaming premise to Foxtel Now, with a bit of a twist. It all depends on what you’re after here. Is Telstra internet worth the money? If you’re willing to pay more to go ‘premium’, Telstra is still a very strong choice when you’re shopping for a new internet plan and the extra goodies that provide padding to its plans may be worth the money. If not, it can’t hurt to compare a range of different broadband providers to get the best bang for buck. What do customers think about Telstra NBN plans? In 2018, Australian customers gave Telstra 3 out of 5 stars for Overall Customer Satisfaction for NBN plans.